His Revenge – John Howell’s Fabulous Sequel to My GRL is available now!!!! The despair is nearly overwhelming, and my mind considers other ways to battle the feeling. What more could I have done with my life? The pressure becomes more intense, and I’m about to lose it all, and I decide I’ve lived the way I wanted and have no regrets. I close my eyes and hear only the roar of the sea. I’m so tired. Exhausted. Sleep will fix everything, and I want to give in. 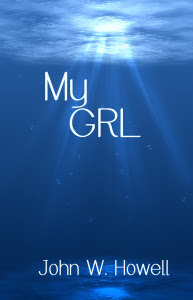 His first novel, My GRL is available on Amazon and wherever e-books are sold. This entry was posted in Conversation and tagged book blog tour, book launch, exciting book news, John Howell, My GRL, new book, sequel, thriller. Bookmark the permalink. 4 Responses to His Revenge – John Howell’s Fabulous Sequel to My GRL is available now!!! !